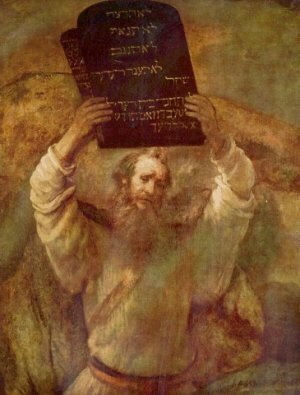 God gave Moses the Ten Laws (or Commandments) on Mt. Sinai. While Moses was gone on the mountain, Aaron gathered the people's gold and made an idol shaped like a calf. When Moses saw what they had done, he crushed the golden calf into powder and poured it into the water. Moses made the people drink the water. 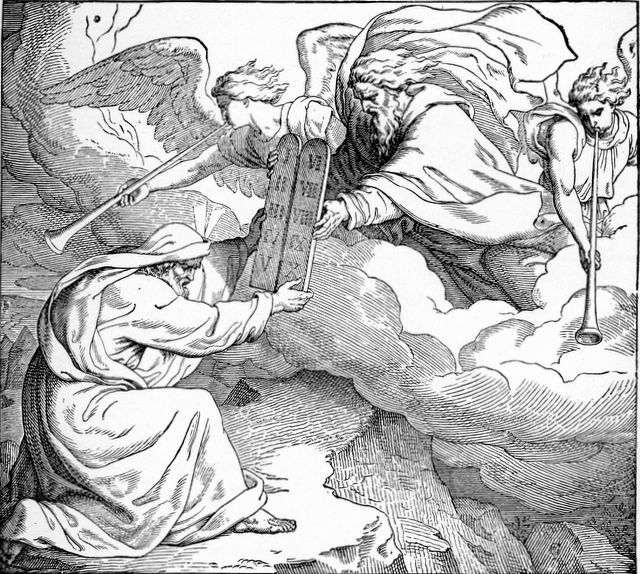 God sent Moses up the mountain so that he could receive the Ten Commandments. Up to now, there were no laws that the people had to follow, so God felt the need to provide rules on how His people were to love Him and to treat others. The first four commandments told how to respect God, and the last six dealt with how to deal with others. How do you treat God? Do you put Him first in your life? Do you honor your parents? 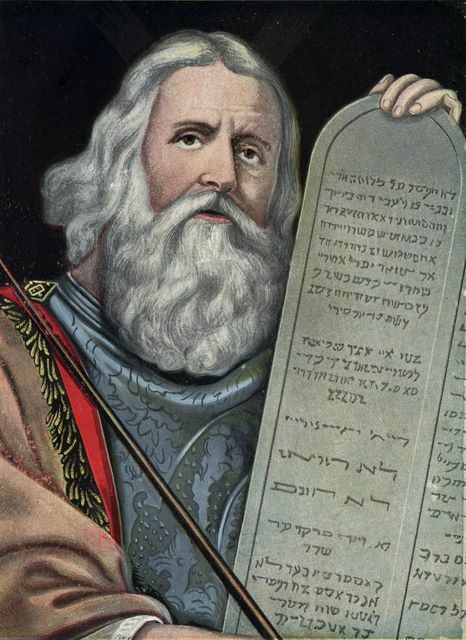 The commandments given to Moses are still applicable today as we honor man and God. 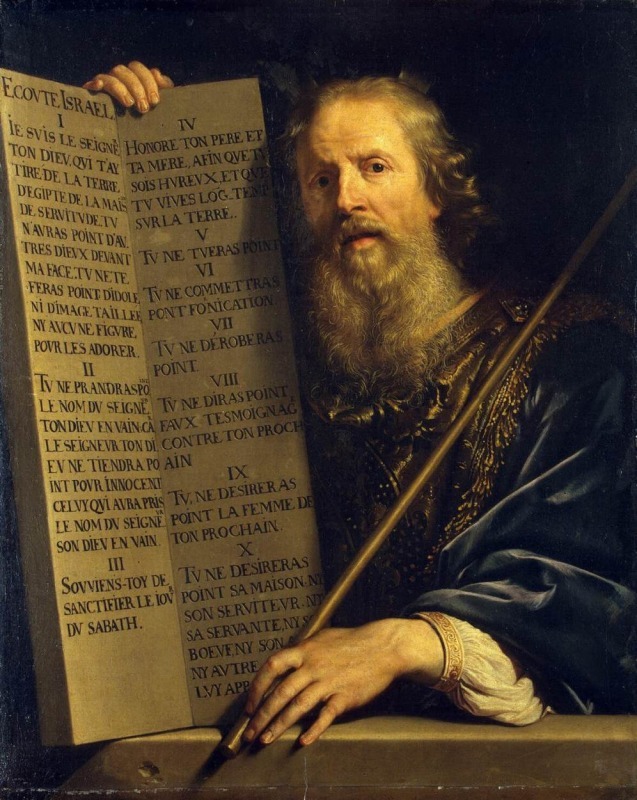 This story about the Ten Commandments can be found in the Bible in Exodus, chapters 19 and 20. English Bible Activities Select story #43 in the list for activities to accompany this Bible story. Spanish Bible Activities Select story #43 in the list for activities to accompany this Bible story. 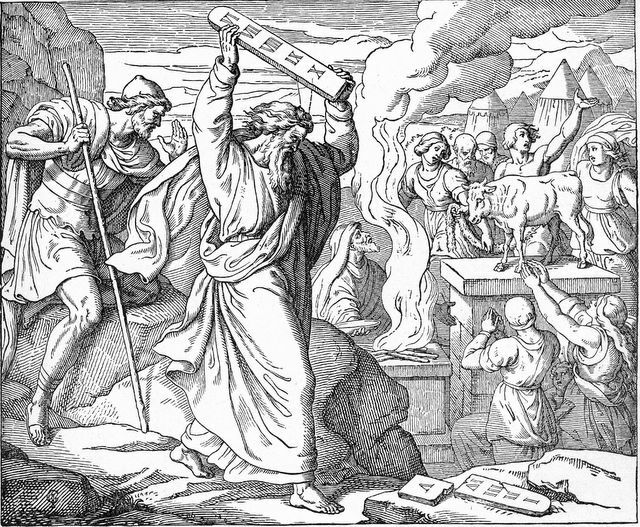 Press "Go" to search for books about The Ten Commandments. I am thanking God so much right now & giving Him all the glory and honor & praise for allowing me to stumble across this web site! Praise God, praise God, praise God! This is so informative, extremely usefull and wonderfully enjoyable! I cant wait to share this with my children and everyone else I know. Thank you so very much for all that is found herein! This site is very helpful, and inspiring to the point I will make it a number-one-site to visit especially for sunday school lessons and activities. This website is so nourishing and so rich. I pray that God will continue to enrich us more and more with his words so that we will be one in spirit. 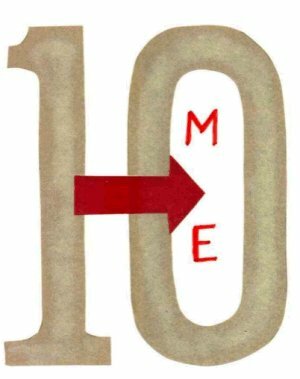 Have you ever seen the roman catholic church's 10 commandments. they removed the second commandment "you shall not make for yourself an idol". and split the last commandment into two !! Thank you for this site! I use it for my sunday School and with my kids! thank you for being a angel from GOD! This page displayed 551,937 times.